Our congratulations to Dr. Marisa Erasmus, recipient of the 2018 CAWS seed grant. 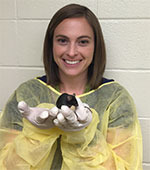 Her project is entitled “Hen behavior as a tool for detecting pest infestations and improving hen welfare”. Click here to read more about her project. Congratulations to Drs. Brianna Gaskill and Colleen Brady for being awarded 2017 CAWS internal seed grants directed at innovative approaches for addressing animal welfare issues. 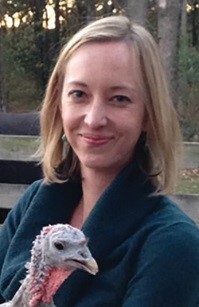 Dr. Gaskill's project is entitled "Improving Mouse Welfare by Identifying Aggression Reducing Pheromones" and Dr. Brady will study "The Role of Mindset and Locus of Control on the Welfare of Working Horses in Central and Latin American Communities."